This site is mainly about the Sidewalk, but will be featuring other minis and other classics cars. The "Sidewalk" was produced by Rover between 1994-1996 and most were registered on an "N". There was only 1000 produced making them a limited edition. They came in Kingfisher blue (above), Charcoal grey and White diamond. The interior trims came in Plain blue and Blue tartan as standard. But now they can appear in many colours and styles due to the art of modification, good or bad I’ll let yourselves decide. I have also added pages about what is going on in my private collection that seems to be ever expanding, much to the horror of my parents! 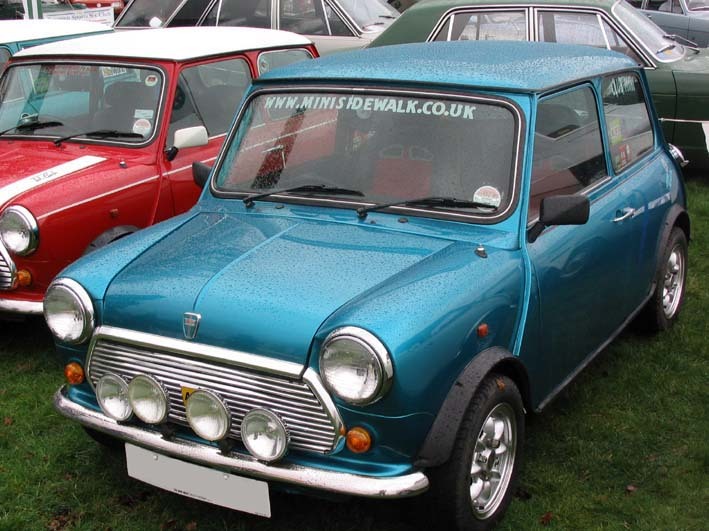 I will also feature classic car shows and any restoration work, on cars in general and including mini's.